We offer an add on cheese, eggs, and fresh flower share! Flower share members receive a beautiful, room-brightening flower bouquet on a weekly or bi-weekly (summer only) basis. All flowers are grown right here in Southwestern Pennsylvania by one of our member farms, The Bloomery. These bouquets are perfect for your home or office. Or both! Flower shares also make wonderful gifts for Mother's Day and birthdays. Cheese share - If you love cheese, this share is for you. 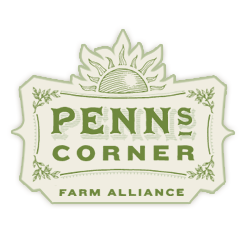 Each week we will select a delicious farmstead cheese from one of Penn's Corner's six dairy farms to deliver to your pickup location. Pieces will range in size from approximately 1/2 lb. to 3/4 lb. depending on the type of cheese. Parmesan style, or Provolone from Broadrun Dairy Farm. Weekly Farmers' Friend cheese share is $320 for 32 deliveries. Biweekly Farmers' Friend cheese share is $160 for 16 deliveries. Weekly Summer cheese share is $189 for 18 deliveries. Biweekly Summer cheese share is $94.50 for 9 deliveries. Spring cheese share is $84 for 8 deliveries. Fall cheese share is $63 for 6 deliveries. Cheese Shares are available during the Spring through Fall. Winter CSA shares often include cheese in the box, so we do not offer a separate cheese share in the winter. We do offer a holiday cheese share, great as a gift or for yourself! 3 deliveries in Jan, Feb, and March. 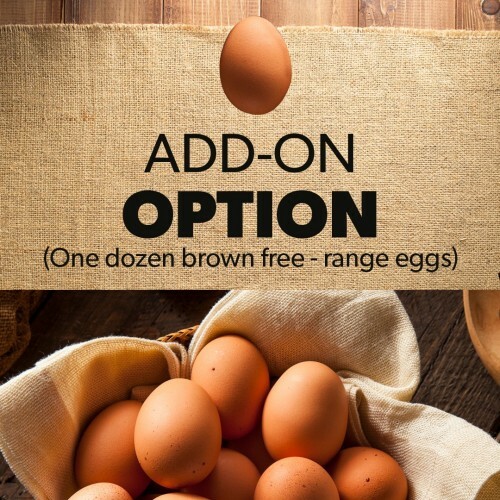 Egg Shares - You can add on a dozen eggs each week to your weekly fresh produce box. Eggs are from Jarosinski Farm in Sarver, PA.
Weekly Farmers' Friend egg share is $192 for 32 deliveries. Biweekly Farmers' Friend cheese share is $96 for 16 deliveries. Weekly Summer cheese share is $108 for 18 deliveries. Biweekly Summer cheese share is $54.00 for 9 deliveries. Spring egg share is $48 for 8 deliveries. Fall cheese share is $36 for 6 deliveries. If you have any questions at all please let us know and we will be happy to assist you.